I love the story of the tortoise and the hare, of David and Goliath, or any time when the little guy triumphs over the big. Best case in point this past month: Ode in Shaldon, a charming little Devon seaside restaurant that has been named Sustainable Restaurant of the Year by the Sustainable Restaurant Association. It beat out Hugh Fearnley-Whittingstall’s River Cottage, which took second place. Chef-proprietor Tim Bouget got top marks for local sourcing as well as energy and water efficiency and waste management. Check it out the next time you are in the West Country! 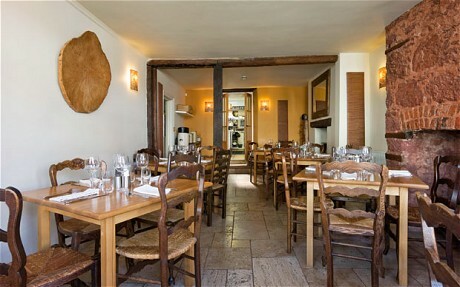 Posted on 15, February 2012, in Food and tagged devon, dining, ode, shaldon, sustainable, sustainable restaurant, west country. Bookmark the permalink. 2 Comments. thank you for the wonderful article and link. Tim, Clare and all the team at ODE – see you in Devon! Absolutely! I will definitely visit Ode the next time we are in Devon!